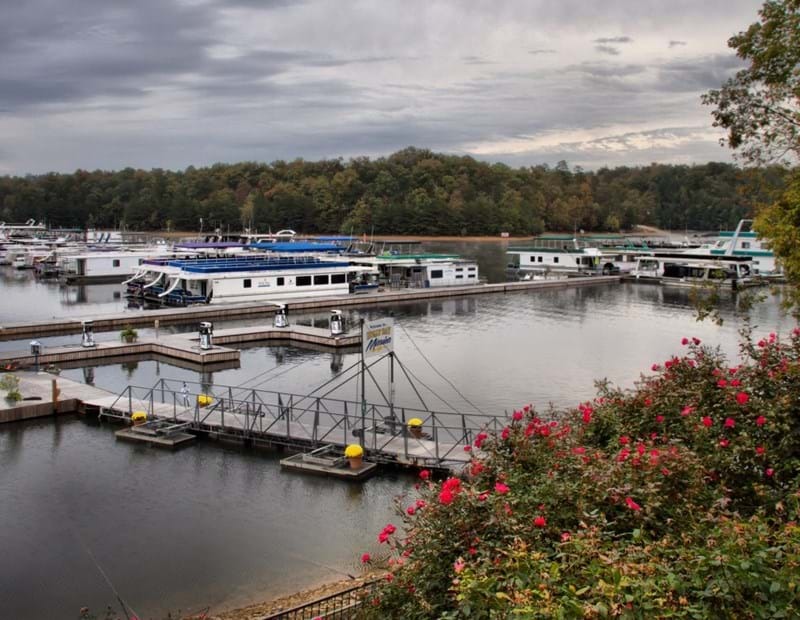 Local boaters are floating the idea of bringing a new marina to Frankfort, Kentucky. As word spreads of recent renovations to the Kentucky River’s system of locks, the need to accommodate boats — both for overnight visits and longer-term storage — has become a top priority for members of the tourism commission’s Riverfront Development Committee. “It’s amazing the calls we’re getting for dock space,” said Kevin Moore, the new commodore of the Frankfort Boat Club. According to Moore, Frankfort’s two existing marinas are full. At the first meeting of the newly reconstituted Riverfront Development Committee, Frankfort Parks Director Jim Parrish raised the possibility of converting River View Park’s small dock into a full-fledged marina. “The main thing that I hear from all the boaters is security and electricity. So, it’s already there. The infrastructure is there. It just needs to be expanded upon,” Parrish told committee members and observers, who packed the tourism commission’s board room on Capital Avenue Tuesday afternoon. Local businessman Charles Booe also offered a vacant, 3.1-acre riverside lot he owns behind his Rebecca Ruth Candy factory as a potential marina site.